What’s on your teacher reading list? 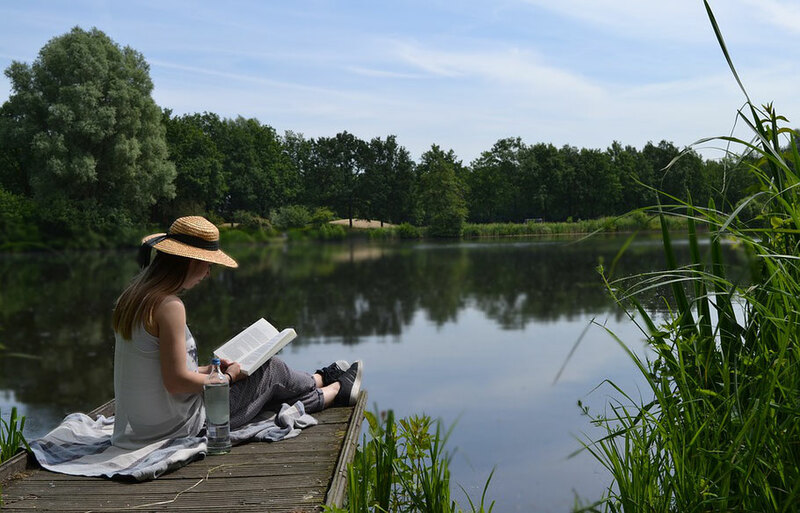 As I mentioned in a previous post, reading is a great way to relax – especially in the summer. If you’re looking to relax and learn at the same time, recharge with the following 5 books that will enliven your teaching this fall. One of the defining features of 21st century life is the prevalence of data. Whether it is the complexity of Google algorithms or the simplicity of a Fitbit’s measurements, data is everywhere. Visual information designers Giorgia Lupi and Stefanie Posavec see data as a creative material like paint or paper. Their engaging book depicts how they became friends by revealing details of their daily lives. Every week, for a year, they sent each other postcards describing the details of their lives. But they didn’t write about their lives, they drew it on postcards! Use this book as inspiration for project-based learning. Finding and visually displaying data is an excellent project for students of all ages, from elementary students to graduate students. Critical and creative thinking skills combine as they explore the world around them, consider the best way to visually represent their information, and learn more about themselves. If you want to make our world a better place, read this book by Adam Grant. Through intriguing studies and personal stories, Grant shares practical actions to generate ideas for change. Grant also includes specific recommendations for teachers and parents to help children learn about making a creative and/or moral stand. In her thoughtful book, Susan Cain devotes a chapter to “How to Cultivate Quiet Kids in a World That Can’t Hear Them.” Using both research and personal examples, she explains how parents and teachers can nurture a quiet child (whose talents are often overlooked). There is also a version for and about kids entitled Quiet Power the Secret Strengths of Introverts. "How do other countries create smarter kids?" That question is Amanda Ripley's basic premise throughout the book. While she has many useful ideas about how to educate children, it is Ripley’s decision to follow "three Americans (high school students) embedded in these countries for one year" that make it a must-read. Their perceptions are enlightening and enable the reader to experience what works and what does not work within our education system. What books are on your summer reading list? What is the last great book you read?